Midge patterns can be remarkably effective for trout. Depending on how you count them there could be over a thousand species of midge. That’s a lot of choices for the discerning trout. There are almost as many choices for the angler and a midge obsession can easily get out of hand. I find that more times than not a Blood Midge will do the trick. I spent a morning on the Colorado River one April and caught twenty-four brown trout on a blood midge without moving my feet. Trout are naturally attracted to these red patterns even when they are not an exact match for the naturals. I’ve tied many different Blood Midge patterns but my current favorite is the CDC Blood Midge. The power of CDC can not be overestimated. This is a great pattern and very easy to tie. Watch the video and learn hoe to tie The CDC Blood Midge. This entry was posted in Fly Tying and tagged Blood Midge fly, CDC, CDC Blood Midge, fishing, Fly Fishing, fly fishing lessons, Fly Fishing Photography, Fly Tying, fly tying videos, Gink and Gasoline, how to fly fish, Kent Klewein, learn to fly fish, Louis Cahill, Midge fly, photography, trout flies by Louis Cahill. Bookmark the permalink. That looks like an easy to tie and effective fly, Louis. I love CDC. How do you fish that? In the film, using frogs fanny or deep, having it trail a weighted nymph? Red midges are wicked! 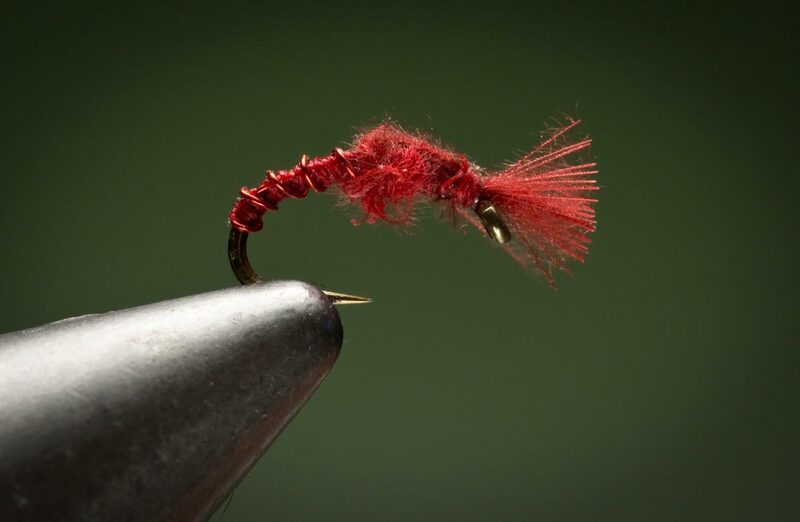 When I go small (by small I mean anything #20 and smaller) the first thing that I tie on is a red zebra midge, and often times I never have to change. It’s caught me tons of fish. Just to add input to Greg’s question above…. I always fish unweighted midges either behind a weighted nymph without shot so that the midge flutters around more in the current, or I’ll fish them in the film if I see trout keying on emergers and such. Nice tie! I’ll have to hit the vise later and get some in my box to try out.